An open letter to victims of the #Westgate attack, to Kenyans and to fellow Muslims. Let me start by clarifying that I am a Muslim. I am proud to be one. 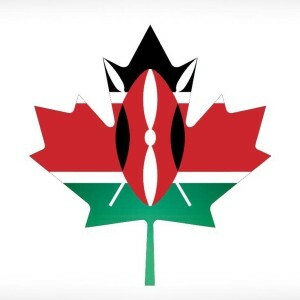 I am born and raised Kenyan. I am proud to be one. Much like all my Kenyan brothers and sisters - Hindus, Christians, Jews, Bahaai and those in-between, I don't condone the attacks on the mall. My heart bled for my country and my country-men as we faced this huge adversity. At first I was in denial when I found out that the perpetrators were doing this in the name of ‘Islam’. I lashed out at people on social media in my anger and frustration, but as more and more reports began pouring in with regards to their identity and their cause I had to accept the bitter truth with a lot of shame. These beasts were doing this for a political agenda under the banner of my religion. Then, an amazing thing happened – Kenyans were united as I have never seen before. Even though they had been burned by an Islamist agenda through the attack in 1998, they never let the scars of this get in the way. My sisters and brothers gave their blood, donated money, food and water. They gave their hearts and souls to rebuild the country. Never have I been so proud of my motherland or my people. I am blessed to be a son of Kenya. I hope that they can find it in their hearts not to blame the Muslims for what happened. We were as much a victim of this when it happened, and I am sure we will continue to feel the ripples of this through the community in its aftermath. As these terrible events come to a close, it will be hard for some who have lost their loved ones to separate our religion from a bitter feeling in your heart. I know you will be looking for someone to blame. I would be too, if I were in your shoes. I am far from a spokesperson for Muslims in Kenya, but please know that we are all deeply ashamed of what has happened. The demons responsible for this may hide behind our names, but they are not Muslims. Our religion does not, in any way, call for the harm of innocents. Our blessed Prophet(SAW) was known for his compassion and kindness towards all beings – these animals were far from that. I hope that you can find it in your hearts to forgive us and accept our apology and absolve us as a community. To all Muslims in Kenya, I implore you to take a few minutes to visit the communities of those who were affected. There is an underlying sentiment towards Muslims that this has caused which must be overcome. We must rebuild bridges that have been broken. It is our prerogative to take the first step, to wipe the tears and to support our fellow Kenyans in moving forward. I’d like to ask one more thing of our Muslim community. Let’s not become apologists for this caricatured and contorted version of Islam. It is our duty to root out those that are propagating hate and terrorism. If we sit on the fence, we may as well join them. Our children are being sucked into the vortex, guns put in their hands and bombs strapped to their bodies. How long can we apologize for the few that taint our entire religion? How long can we hang our heads with shame for the acts of a few that kill the innocent? It is time to draw the proverbial line. No more hate. No more passing the blame. It’s time to take a stand for our religion the way it was brought to us by our Prophet (SAW). Please keep a vigil within your local communities and masjids. If you see something that you are not comfortable with, make a stand. If you feel threatened, reach out to someone with authority. But please, for the sake of the blood that is spilled in Kenya, in the UK, in the US, in Afghanistan and all over the world by these terrorists, please take a stand.